New York. Hogarth. 2016. 320 pages. 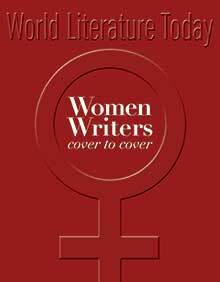 Eimear McBride’s first novel, 2014’s A Girl Is a Half-Formed Thing, immediately established the Irish writer as one of the most ambitious and unique voices coming out of Ireland today. The work drew comparisons to James Joyce and Virginia Woolf due to its visionary use of language as well as the manner in which McBride envelops the reader inside the mind of her main character. 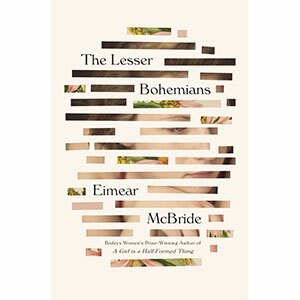 In her latest novel, The Lesser Bohemians, McBride once again proves why the acclaim was well deserved with a work that is visceral, dark, moving, and entirely told through the interior monologue of a young woman. Eily arrives in London in 1994 to attend drama school, where she quickly becomes part of a raucous party scene. Her path crosses that of Stephen, a semifamous stage actor with enough of a name made for himself that Eily’s fellow students are shocked when they begin a tumultuous relationship. But both Eily and Stephen struggle with significant demons, including past trauma that makes their growing intimacy a source of internal conflict and self-sabotage. Over the course of Eily’s first year of school, the two ricochet off each other as they attempt to sort through what they want—or can offer—in a relationship. Centered largely in Camden as the borough began shifting away from the violent mayhem of the early 1990s, the London that McBride brings to vivid life feels light years away from the city today. The world Eily inhabits is a funhouse-mirror take on the college experience, with heavy drugs within easy reach and danger always close at hand. Eily, an Irish girl who travels back to stay with her mother during school breaks, immerses herself in the fast-paced and chaotic swirl around her, but one never gets the sense that she’s fully at home. She lashes out and puts herself in deeply upsetting situations for myriad reasons—to get back at Stephen, to punish herself, to maintain the illusion she’s built up that she’s a certain kind of girl. McBride’s prose is by turns joyful, unsettling, sensual, and frenetic. With sporadic punctuation and a stream-of-consciousness flow, the novel whisks the reader along at a near-frenzied speed. 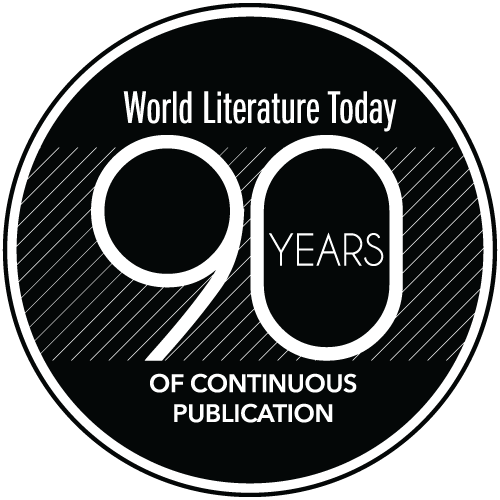 The roller-coaster effect is one of the novel’s greatest strengths; it conveys Eily’s own confusion and occasional fragility without compromising her independence or complexity. She is perhaps best described as fully eighteen years old—naïve, insecure, infuriating, and strikingly mature all within the span of one page. Meanwhile, decades-older Stephen is no less nuanced; despite the immediate red flags caused by the disparity in ages, he’s respectful and supportive but at times willfully cruel. Together, he and Eily make up a fascinating center for a coming-of-age story that’s unlike any other.